Political crisis which has been tearing Tuva for the last 6 months since illegal cancellation of the vote results in October 8, 2006 parliamentary elections seems to be over. Sherig-ool Oorzhak, 64, who has been running the republic for the last 17 years, has been not nominated for the new term by President Putin, as the head of the republic and his team beleived. Sherig-ool Oorzhak's 3d term expired on March 17, but no candidature was put forward what signalled that the Kremlin could not make the decision. 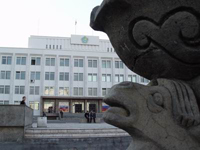 Administrative pressure engaged by Tuvan prime-minister Sherig-ool Oorzhak in his desire to stay one more term in office in the past parliamentary elections has led to cancellation of the vote results in the constituencies where opposition received the majority. This decision was mase by the election commission of Kyzyl, whose members were pressed (even in night time) to vote in accordance with the executive power, the pretext for cancellation was the following - the election polls were not formed correctly. 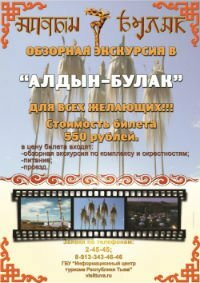 Tuvan opposition has released an open appeal to Russian President Putin attracting his attention to the power crisis in Tuva which under 16 years of Sherig-ool Oorzhak's leadership has come to poor results. It is a second of its kind address to the President with the almost similar critic of the current leader of Tuva. The first one was launched a year ago by the majority in the Tuvan parliament. 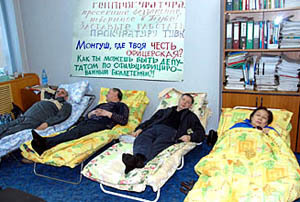 Tuva is the only region in Russia to live for over 5 months without a parliament. The much spoken about political crisis goes on and is now at its peak on the eve of its probable solution. The way out is expected to come either in the form of the Supreme Russian Court decision where appeals from United Russia candidates are being considered or in a new parliamentary election appointed for March 11. 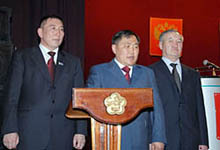 Current Tuva's leader Sherig-ool Oorzhak's third term expires in March this year. Will he keep running the republic or be substituted? By whom? This week the Deputy Head of the Presidential Administration Vladislav Surkov met 4 candidates for the position suggested to Kremlin by Anatoli Kvashnin, Presidential Envoy in Siberia.